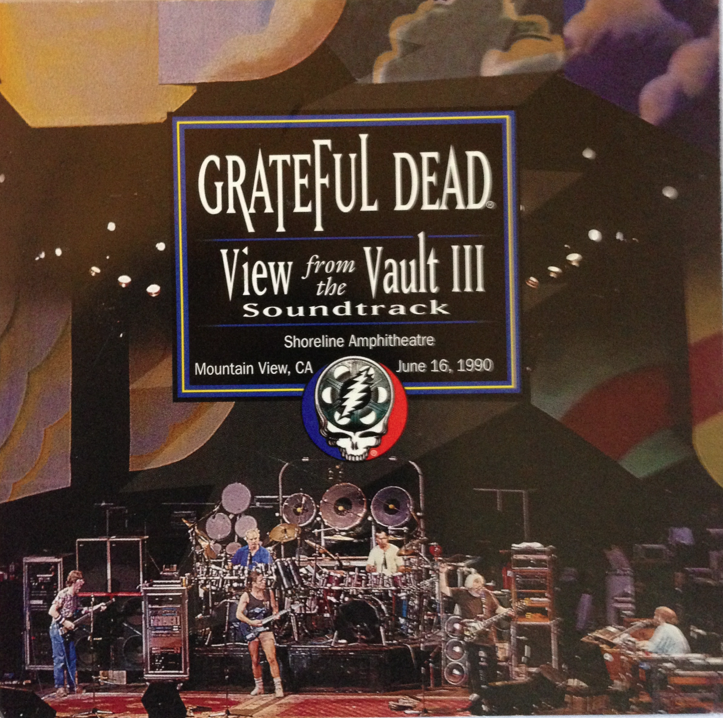 View from the Vault III captures one of those very special nights when the Grateful Dead took us to a time and place where the musical possibilities were endless. The second set began with a well jammed “China Cat / I Know You Rider,” an especially soulful version of Brent Mydland’s “We Can Run,” and an “Estimated Prophet” that foreshadowed the musical adventure that was to come. But it was the half-hour jam out of the next song “Terrapin Station,” that I will remember as the Grateful Dead at their creative best. Time stood still as we entered a new dimension. The jam started off with several variations on the theme of “Terrapin,” but soon took on a life of its own. Long past the point where the drum solo usually starts, Phil and Brent finally left the stage while Jerry and Bob remained. After several minutes with two guitarists and two drummers, the drummers departed, and Bob and Jerry produced sounds that I cannot describe in mere words. A little while later Phil joined them, and then Jerry left, leaving Bob and Phil together for a different version of “Space.” When they left the stage a short time later, the stage was empty, but far from silent. Some loud booming sounds came from the back of the stage and then Mickey reappeared and treated us to a major voyage into the unknown using the Beam. Then Jerry and Bob returned and Mickey left again. The guitars hinted at “China Doll” and the rest of the band hurried back to start the song. A good version, complete with harpsichord sounds from Brent, and then whammo, “Sugar Magnolia,” a spectacular ending to an amazing set. Those middle-set soundscapes are for me a perfect example of what Bill Graham meant when he said, “They’re not the best at what they do, they’re the only ones who do what they do.” Amen. The is the soundtrack to View From the Vault III.